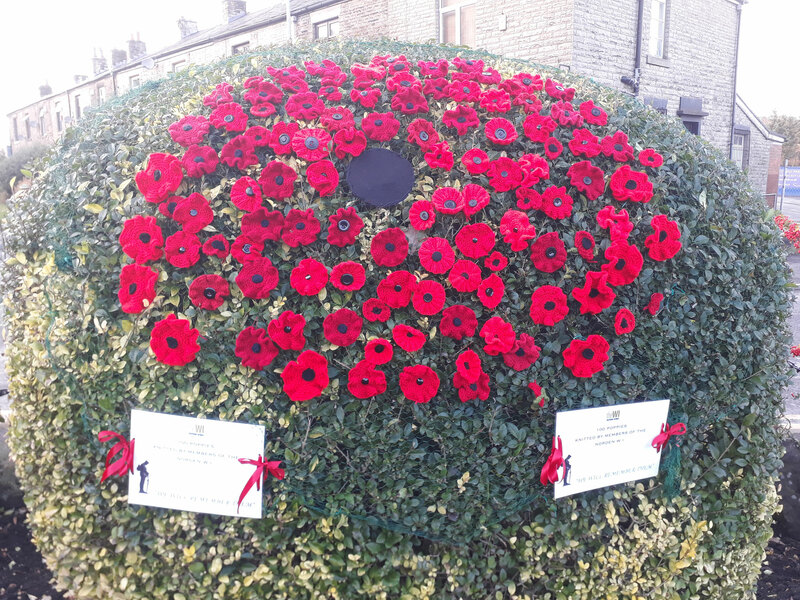 Hundreds of local people have attended a special Remembrance Sunday service in Norden today, to mark the 100th anniversary of the end of the First World War. It has been described as one of the biggest turnouts in memory. 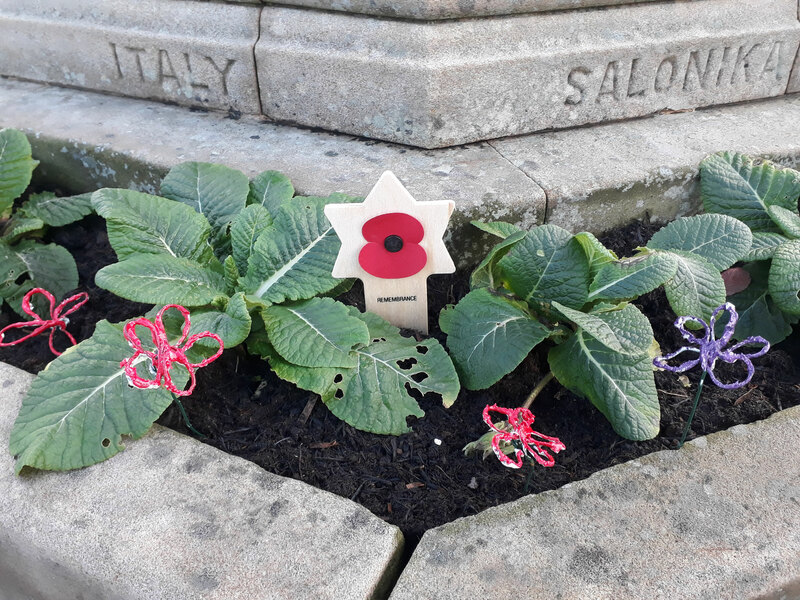 Across the village services were held at numerous places of worship before members of the public made their way to the Norden Memorial Gardens for a service of remembrance led by Rev. Stephen Nolan from St. Paul's Church on Edenfield Road. Alongside him was Archdeacon, Cherie Van who attended for the special service. In expectation of a large attendance the bottom section of Woodhouse Lane had been closed by Rochdale Council, to allow people to gather safely. Amongst those present were veterans, servicemen and women, and individuals representing armed forces and family members. Also gathered were local uniformed groups, horses riders (representing the war horses), local officials and many community groups, families and individuals. All had come to pay their respects in a special moment of reflection. 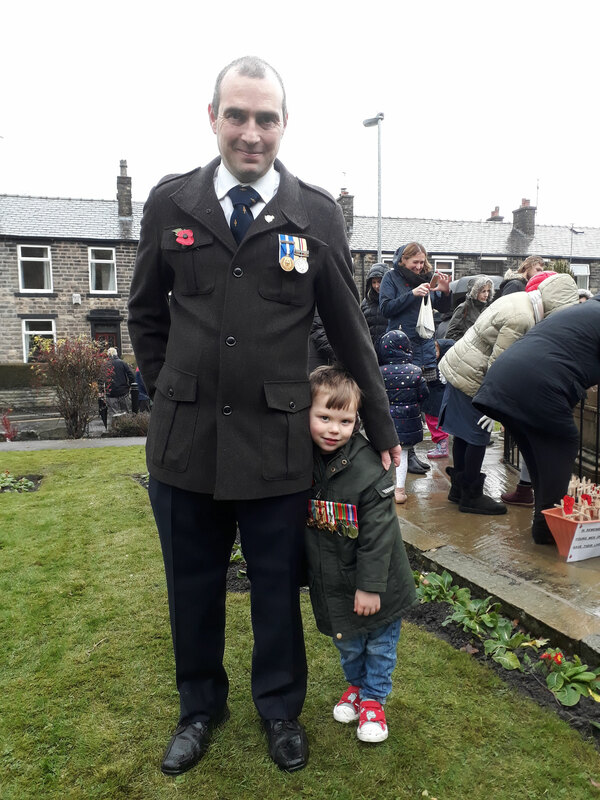 Many in attendance had photos of loved ones, or proudly wore medals of their own or those of relatives, such as local resident and serviceman Richard who was accompanied by his young son wearing a number of his great grandfathers medals. 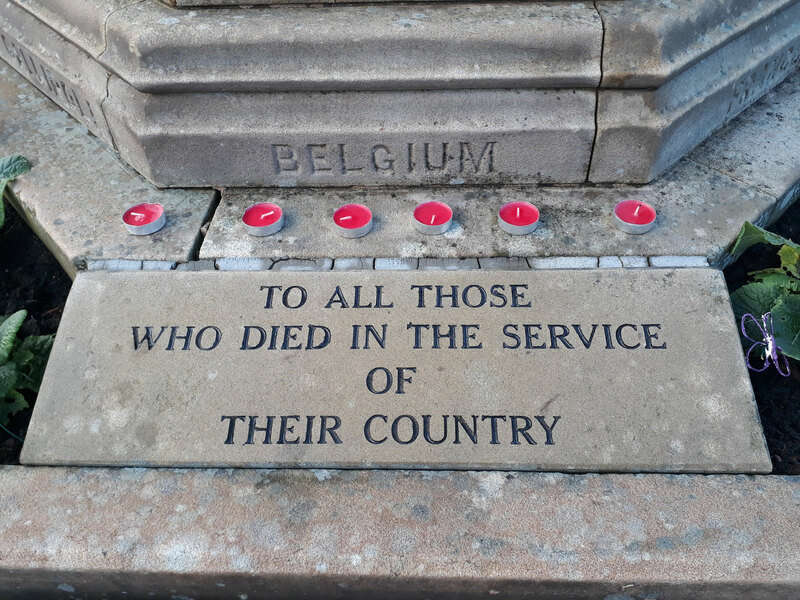 As part of the service the names engraved on the memorial were read aloud by local children, whilst others laid crosses which they had made, bearing those names, beneath the monument. Readings were given by local resident Stuart Willis before the Last Post rang out and a two minute silence was observed. Wreaths were laid by veterans, groups and local Councillors. Around the gardens there were numerous displays of poppies which had been made by local people and community groups. 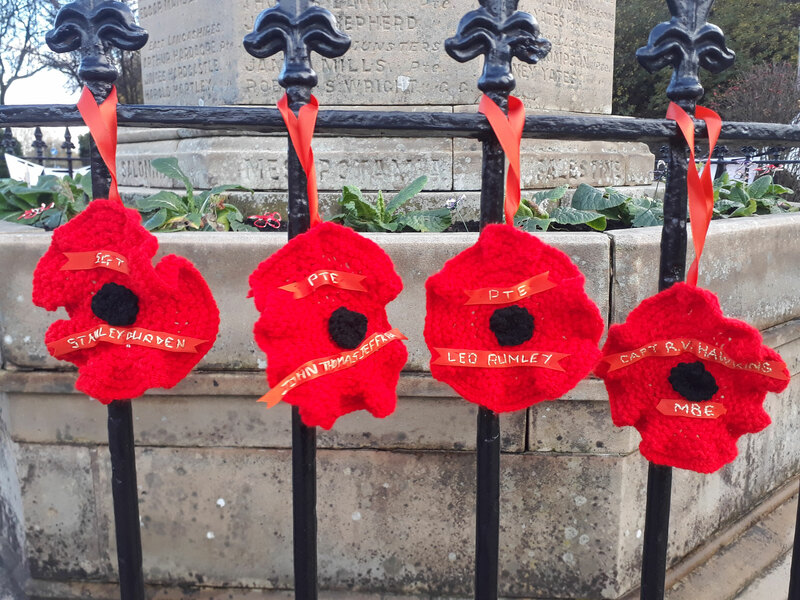 Brownies had inserted handmade poppies around the monument, the Norden Women's institute had created a display of knitted poppies each made by hand, and local schools and nurseries had created wreaths and painted poppies which adorned the railings around the memorial. 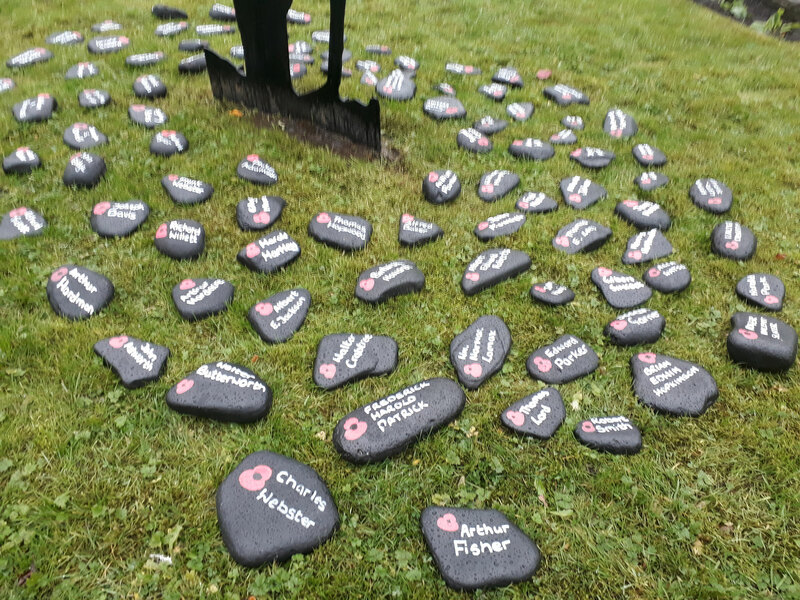 Around the silhouette of the silent soldier local councillor's wife, Karen Winkler, had hand painted a display of commemorative stones. Each stone gave the name of one of the fallen acknowledged on the Norden monument. In a moving display children were invited to collect a stone following the conclusion of the service and take it out into the community and place them to be found. 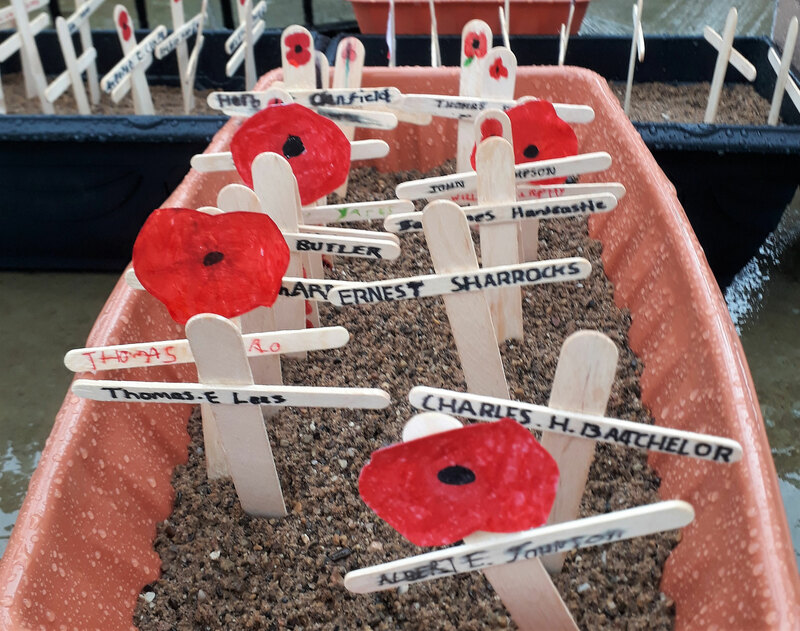 In inviting the children to do so Councillor Winkler said "There are so many incredible tributes that have been made here by many local groups. Many hours have clearly gone into their creation. The children know what to do with these stones, we want them to take these into our community with all those names and keep on remembering." The service concluded with the singing of the National Anthem (both verses).